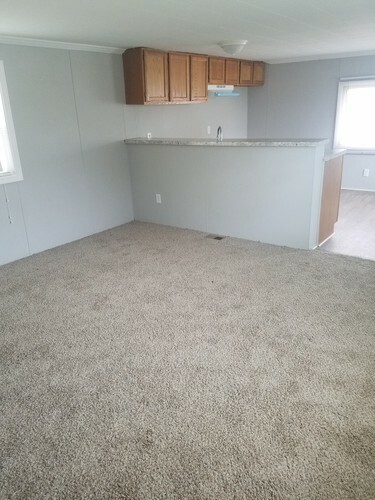 This beautiful 2 bed 1 bath home has been fully rehabbed so you can enjoy that wonderful feeling of new carpet under your toes. Site 344 is a spacious floor-plan and beautifully laid out. All kitchen appliances included. HURRY, this home will not last long. I cant wait to hear from you! Your safety is our safety! Criminal Background checks required on all applicants 18 & older. If you are looking to apply here at the office, just be sure that anyone over the age of 18 that would be living home brings their Drivers License, Social Security Card, and 2 most recent pay stubs. Bruised credit or concerns? Dont hesitate to call, we are here to help! Our Community offers... 2 Large swimming Pools, 3 Community Playgrounds, 2 Basketball Courts, 3 Clubhouses for private parties. 2 Brand New Dog Runs and The best community parties around. We also have FREE Boat and RV storage for our residents. Friendly Village is located just minutes from I-75. The property is professionally managed by a friendly staff that truly cares.....Stop in today we would love to meet you. * Important due to our policy of continued improvement, all information in our brochures and photos may very from actual home. The right is reserved to make changes at any time,without notice or obligation, in colors, materials, specifications, Prices, Specials, processes, and models. All dimensions of square footage calculations are nominal and approximate figures. Please check with your sales associate for specific and current information.